We’re thrilled this month to be able to offer our members one of the finest quadrupels in the world. Southampton Abbot 12 is generally in any serious discussion of top-echelon quads, RateBeer.com users regard it as one of the top 10 examples in the world, and it’s one of the finest beers that have ever made it into our tasting glasses. There’s something about quads in general—that balance of rich and detailed full-bodied maltiness with a lightness on the palate of a much smaller beer. And there’s something about Southampton’s version in particular. It can be fairly said that Belgian-style beers are among the hardest to perfect, and this one just uses our perception of the style and makes this feel like a top-tier Belgian rendition, but new. Less than 100 cases of Southampton Abbot 12 make it into any sort of distribution annually (limited to a half-dozen nearby states), and we’re lucky that we were able to secure a supply. Southampton Abbot 12 pours a deep golden-brown color, capped by a billowing beige head that lasts: creamy texture, dense lacing. The aroma, while restrained in its sweetness, offers a detailed expanse of yeast and malt contributions. There’s dense bready notes, hints of vanilla, a caramelized sweetness, and plenty of the dried dark fruits that tend to be a key hallmark of the style: raisins, dates, dry figs. Within the presence of well-hidden vinous alcohol, there are additional notes suggesting sherry and dark rum. Lesser American renditions of the style, for a counterpoint, tend to smell a lot like cherry cola. This goes much deeper than simple soda, and that caramelization throughout melds perfectly alongside the fruitiness and soft esters. The flavors of Southampton Abbot 12, even more than the aroma, are what make this beer a standout. Even within the larger lineup of the brewery’s farmhouse-style ales—which further includes their world-class Grand Cru, Saison Deluxe, and Cuvèe des Fleurs—this is the beer we repeatedly come back to. There are rich layers of caramelized sugars and toffee, plenty of doughy and bready notes from the yeast (along with some additional fruity esters), and even a light touch of lemon and spice. There’s also a lightness here, from the fine carbonation and careful handling, with none of that complex maltiness feeling heavy. It finishes smooth, with a soft ending of dough and spice. Pair this with a potent, washed-rind cheese or aged Gouda. There are some breweries that most beer cognoscenti are familiar with, even if they’ve never tasted any of their beers. Based on reputation alone, the brewers behind these places have built a name for themselves. Southampton Publick House is one of those locales. Whether you’ve tried their fine wares before, have long wanted to, or never even heard of them, you’re in for a treat this month because we’ve selected a truly unique ale for you. Out in the East End of Long Island, NY, about an hour and 45 minutes east of the hustle and bustle of Manhattan, you’ll find Long Island’s finest casual dining and a masterful range of classic ales and lagers at the Southampton Publick House. This landmark location for beer has long served as an outlet for people to enjoy a drink, be it fermented or distilled (legal or otherwise). Since the 1800s, beer has been produced and served in the Publick House’s previous incarnations as a speakeasy, watering hole and restaurant. During Prohibition, on the site where Southampton Publick House stands today, the original proprietors operated a proper restaurant while hiding a speakeasy in the back that served smuggled spirits and beer. Thirsty restaurant patrons would disappear for a short while, typically returning with a much rosier disposition. Over the years, legendary figures of the 1920s and 30s like Babe Ruth, Clark Gable and Gary Cooper mixed right in with the regulars. This was a place where everyone got top billing, so these three luminaries were just “some of the guys,” sharing stories and a common passion for finding a tasty, quality brew. After this long and storied history, Don Sullivan bought the historic building with the goal of adding a brewery to honor the rich beer tradition of the owners and patrons who came before him. The Southampton Publick House was reborn in 1996 as a microbrewery restaurant and began serving great food and superior quality craft brews in a warm and welcoming atmosphere. Add two more Golds at the Great American Beer Festival from two prior brewing assignments, and Phil’s medal count is 25 and counting. This level of recognition at these highly competitive and prestigious events has established Phil as one of the most honored and sought after brewers and speakers in the craft world. 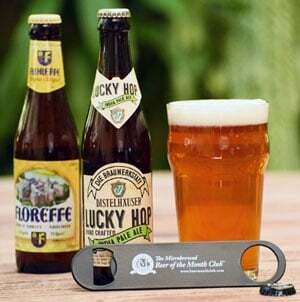 He was awarded the Institute for Brewing Studies Russell Scherer Award For Innovation in Craft Brewing at the 2003 Craft Brewers Annual Conference. This award honors a single American Craft Brewer who is selected by the Institute’s board members, as having showed innovation and quality in brewing, as well as making significant contributions to the Craft Brewing Industry. Under Phil’s stewardship, Southampton Publick House has become one of the most award-winning breweries in America— ranked in the top 20 for GABF medals won by a brewery in the last 10 years. (Excluding the big 4 breweries and chain brewpubs, Southampton is in the top 10 in medals won at the GABF in the last 10 years!) And Phil wrote the book on Farmhouse Ales [literally; it’s called Farmhouse Ales: Culture and Craftsmanship in the Belgian Tradition (2004)]. All this recitation of praise is making us very thirsty—let’s move on to the man’s area of expertise, shall we? 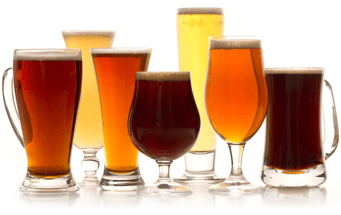 I have a beer-tasting format that I tend to go back to, especially with beginners, and it’s been useful regardless of whether I’m entertaining a few curious friends or organizing a tasting for a larger audience. It’s pretty straightforward, and only requires three well-chosen beers. First: Pick something with hops. Here in northern California that’s like saying go track down some air, and pretty much anything hoppy with a reasonably lean malt core will suffice. You want people to taste bright hop flavors and an assertive bitterness (the key contributions), and for them to understand that beer typically has three core ingredients besides water and—bam—here’s one of them. A citrusy, impactful IPA can also be a conversational launchpad into the other notes hops can afford, from spicy Czech varieties to tropical New Zealand types. It’s that third beer, though, that tends to be the biggest conversation piece. The saying goes: Brewers make wort; yeast makes beer. The idea that fermentation is the result of billions and billions of unicellular organisms chowing down on malt sugars can be a little mind-blowing, and the range of flavors and aromatics that result from different yeast strains allow plenty of options for beer #3. German-style hefeweizens are great, offering banana and clove notes, as are various sour beers (should additional mind-blowing be needed). I usually take a non-sour Belgian style here. A top-tier saison or quad highlights yeasts fully indulging in those sugars, creating a dried and drinkable canvas, while the expansive flavors get one’s audience hooked.